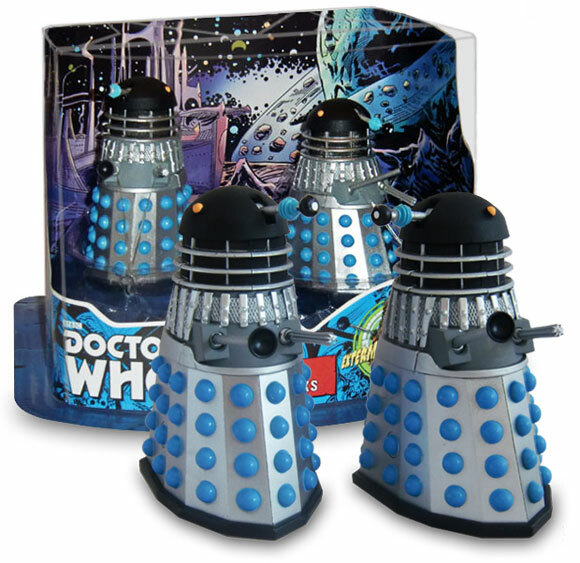 Toys R Us Evil of The Daleks 3.75″ Dalek Set #3. 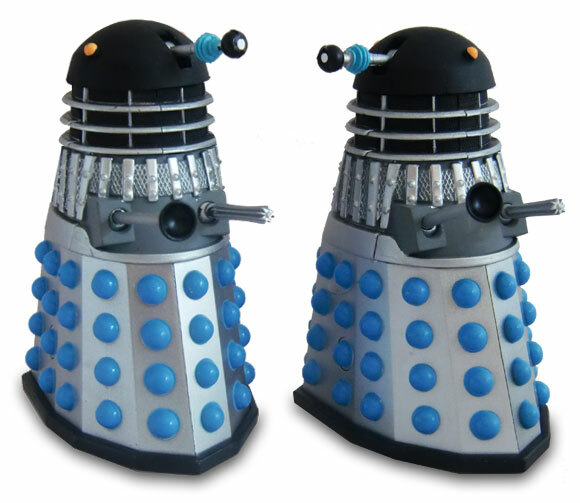 The design of these Daleks is influenced by the livery of the Black domed emperors guard and drone Daleks from the 60’s TV serial of the same name. Created by a genetically scarred scientist on the planet Skaro, the Daleks are pitilous mutants housed in an armoured travel machine. The Daleks are the ultimate force for evil in the Universe. 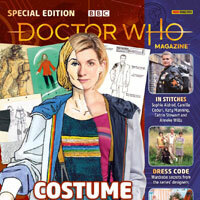 The Daleks have appeared on television, print, audio and comic strips, these Dalek collector sets feature both classic and new Dalek designs and styles inspired by these adventures. I’ve Just bought another 2 of these sets! 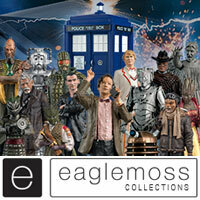 Stockport ToyRus has lots of Evil of the Daleks & Dalek Invasion sets. 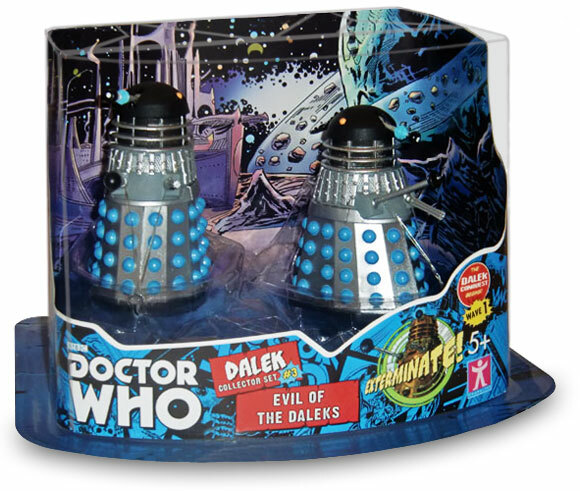 Bolton Toys R Us did have 2 Evil of the Daleks sets, but now it has one at most. This pack has sold out online, just as I was about to buy it an’ all, at least the Children of the Revolution one is still available. 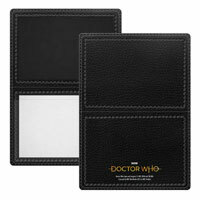 I want these but have to wait with the Time of the Dr set out soon. 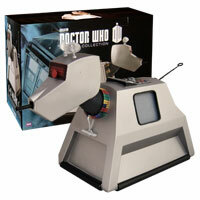 Also Booboo do you know when the Dalek with the mutant scoop is coming out. Dalek with a mutant scoop? In what scale? Any links? I’m not sure that counts as an error. It’s just the best they can do at this scale. The further the eye stalk pivot is inside the dome the longer the slot needs to be to allow traversal from vertical to horizontal. A stronger objection would be that the slot is wide open along its whole length which is not the typical look of a Dalek. Sorry, should have been in the post below. 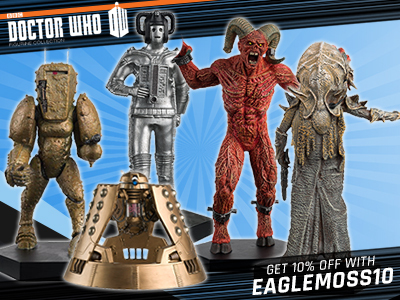 Looks good but there is a little error on the Daleks that on the head of a dalek, where the joint of a Dalek eye is linked up. See the gap, it’s a bit high. That’s why I prefer the 5 inch yah they are more precise and detailed. 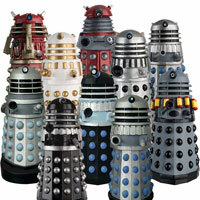 But I going to leave this debate as it is your opinions on what you think of these new Dalek figures. Both of one of the ball thing’s have a circle around it what is that for? 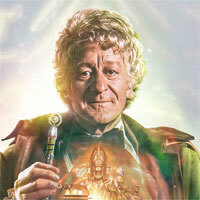 Do you think we will get the paradigm daleks in 3.75 inch? So surely they’ll release Paradigm ones even if they’re not featured anymore! Is this really accurate to how the Emperor’s Guard Dalek looked in “The Evil Of The Daleks”? I’m only asking, because the 5″ version is slightly different (it has clear dome light, and a basic silver eyestalk). Should have yellow egg cup lights like in the 5″ Toys R Us version. It should have a black dome, yellow lights and silver eyestalk which is what it has. There was a second 5″ version with corrected light colours but incorrect black eyestalk. I only asked because I’ve got the 5″ version from “Dalek Collector Set #2”, which has a black done, clear dome lights, and a silver eyestalk. Why is everyone getting so excited about this? What’s the point of these releases? 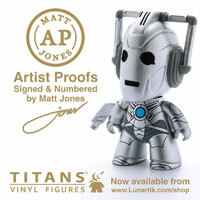 We already have these in 5 inch (better quality), and it’s not like this is a rare one, you can get them for a fiver or so on Ebay. Nicely put booboo! Yeah, I only collect 3.75″ as a general rule so I have passed on all of the 5″ Doctor Who figures that have come out so far, even though Doctor Who has been my favorite show since I was a kid in the 70s. I’m super excited about the 3.75″ line and appreciate all of the news and information I can get on what’s coming next. I’ve always been willing to accept a little bit of loss of quality/detail due to the 3.75″ scale, whether it’s Doctor Who, Star Wars, G.I. Joe, monsters or whatever. Could I use these pictures BooBoo? Look’s like a nice set doesn’t it? Booboo are these your pictures? Thanks for replying, hopefully my nearest one will have them in, will probably go to get one in a couple of days. 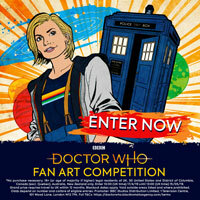 Sorry one more question, but do the evil daleks have ovals between the gun and plunger? This set has appeared on eBay. @ Exterminator, do you go to the Thurrock-Lakeside Toys r us ??? That’s great to hear, I might go tomorrow. Thank you. Not sure if this is a packaging error or what, but I thought there was supposed to be one regular Dalek and one Guard? This is probably the same prototype as the one in the previous pictures. 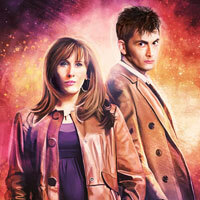 Are the two daleks the same ??? Did they have all the sets or just this one? Thanks anyway! Its really annoying because my nearest Toys R’ us is quite far away and because I can’t drive its really difficult to get there to get all this merchandise 🙁 last time I went to a Toys R’ Us was like July.